Boka Bay (Boka kotorska) is one of the deepest and longest bays at the Adriatic Sea, so it’s usually called the southernmost fjord of Europe. Cliffs of Orjen and Lovćen mountains overshadow the town. Moving from the open sea towards the highlands is penetration Ostro, between cape Ostro and peninsula Lustica, then Hercegnovski (or Toplanski) bay which across Kumborski gorge tide up to Tivat Bay. From the Tivat bay the pass iz trough gorge Verige toward the Risan bay to the west and Kotor Bay to the east. From the Boka bay entrance to Kotor there is navy line 33 km long. Entrance to the Bay is 3 km long, while gorge Verige is less than 300 metres wide. Outer penetration in the Bay is cut into vitaljinsko-luštički cliff, and inner into devesiljsko-vrmački cliff. 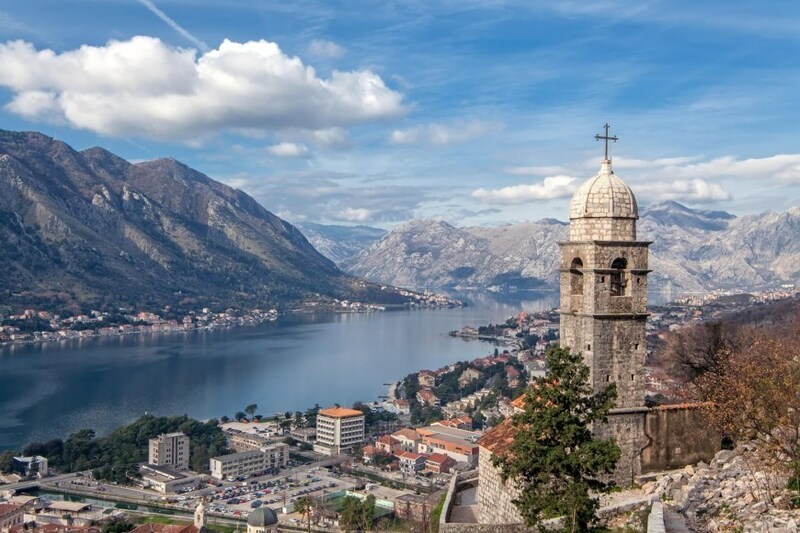 In relief of Boka Bay stand out the two valleys, which extend from northwest to the southeast. Outer valley is sutorinsko-grbaljska with Toplansko-tivatski bay. Inner valley is morinjsko-kotorska with Risansko-kotorski bay. Both cliffs are to the same direction. The valleys consist of Paleogene rocks while both cliffs consist of Mesozoic limestone.